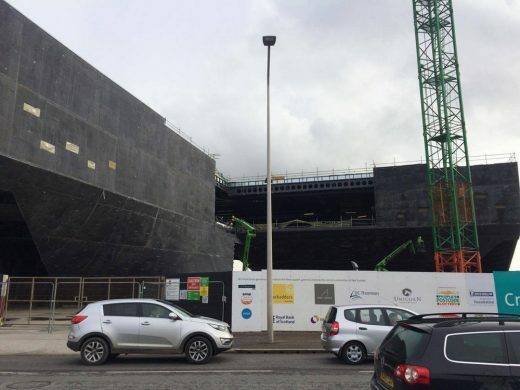 Designed by Japanese architect Kengo Kuma, the £80 million V&A Museum of Design project is on schedule to open to the public in 2018. 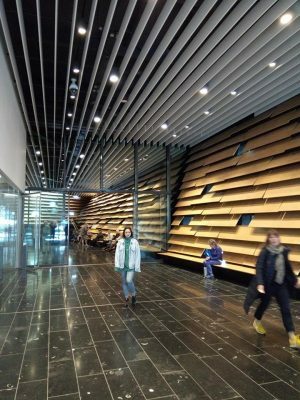 The architect of V&A Museum of Design Dundee saw his vision inspired by Scotland’s cliffs revealed for the first time on 18 October 2017. Kengo Kuma visited Dundee shortly after the temporary cofferdam – which allowed the museum to be built into the river – was removed. This involved digging out 12,500 tonnes of stone and cutting out a structure of vertical metal sheets which was constructed on the bedrock of the river. This work revealed the dramatic river-facing front of V&A Dundee, which juts outs into the River Tay. The exterior walls have 2,500 cast stone panels hung on the complex walls, which curve both vertically and horizontally. These panels were made in moulds, weigh up to two tonnes each and span up to four metres. The size, shape and placement of the panels varies around the building, creating changing patterns of shadows as the sun moves around the museum. The Scottish cliff metaphor is interesting and novel, however the ship metaphor is more immediate as you approach the building along the shore, mostly via the section angled at both ends but also due to the ‘boarding’. Approaching the building across the River Tay bridge however reveals a more rectilinear striated mass, with little resonance with ships. This is because the juting prows are directed North and South, so obviously viewing the building from North or south means you don’t see the angled section. I don’t include any photos from the North (city facade – entry) as it was fully shaded from low sunshine and the palette and limited articulation – for example through fenestration – left it feeling slightly forbidding. The varying precast panels on the facade are of moderate interest, but present a fairly opaque face to the city. Compare for example Zaha Hadid Architects’ Riverside Museum which is largely solid but has extensive glazed facades at entry and onto the waterfront. The comparison resonates with me as both sites are similar and both represent the first building by a world-famous architect in Scotland. Looking through the precast panels you see the ‘black concrete’ exterior walls. 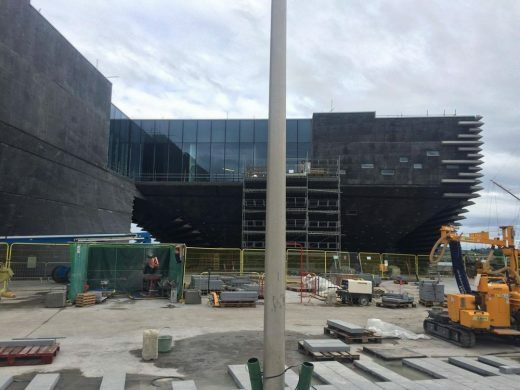 The concrete isn’t pure black, but has a varying black hue. I wonder what Kengo Kuma desired here, for me the muddiness of the colouration is unappealing. Currently you also see base metal fixing brackets peeping up behind the panels – are these to be concealed? In some places there are also small horizontal slot-like windows partly screened by the precast panels. Due to the section depth and the slots between panels being slightly less than the height of the windows this will surely mean lighting at certain points in the day at some times of year does not enter the building. Does this suit the uses for the interior spaces beyond I wonder? 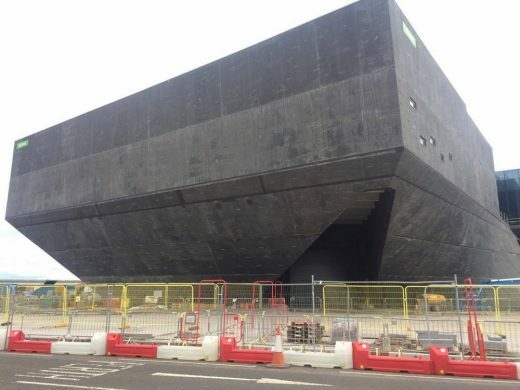 My suspicion is the building has been designed from the outside in and the architectural interpretation of the Scottish cliff metaphor might therefore result in daylighting of variable quality. Most architect-designed buildings in recent decades employ sun screening that can be varied, whether internal blinds of sun-tracking external brise soleil. The solid horizontal fins are fixed, thus there is no flexible relationship to the path of the sun. Appearing intermittently along the roofline is a balustrade, looking like a safety railing. Surely this could have been designed out with the standard device of a parapet? The building would not suffer from an extra metre of facade height. If the railing was supposed to echo those typically found on ships then it doesn’t achieve this for me, as most ships use white-painted horizontal bars. The simple, robust landscaping looks good and logical – with solid benches echoing the form of the building – but nothing within it ‘sets the heather alight’. The white birches (a favourite tree of mine) along the East facade are a pleasant assimilation of Japanese and Scottish culture. 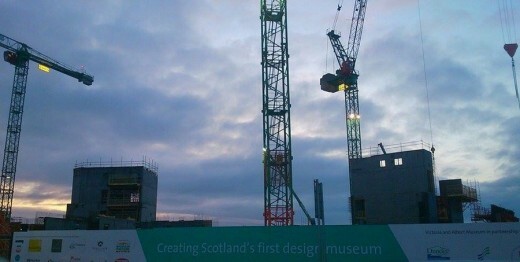 A ‘topping out’ ceremony was held on March 1st to mark a significant moment in the construction of V&A Museum of Design Dundee. 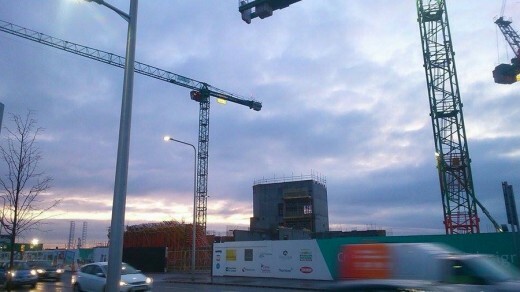 Local schoolchildren were involved in the event which saw a Douglas Fir tree positioned ceremonially by crane at the highest point of the building, nearly two years on from the start of construction. The tree was in position temporarily for the ceremony on Wednesday and will be planted as part of the landscaping at the site later. 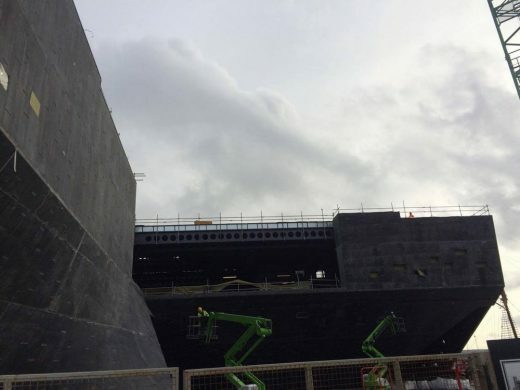 V&A Dundee director Philip Long said: “The completion of the museum’s incredible walls marks a major step in this project, and one which would not have been possible without the vision of our architect, the construction expertise of BAM and Arup’s remarkable structural engineering solutions. 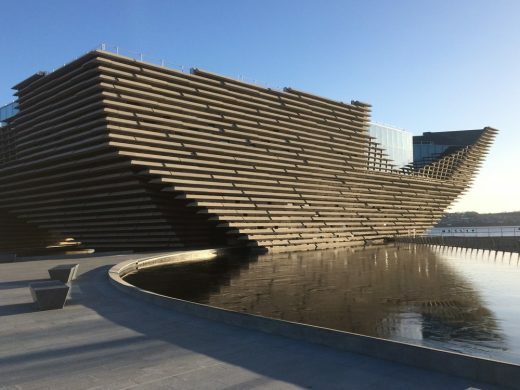 The Victoria and Albert Museum (V&A) is seeking an architect to design the flagship Scottish design galleries at its outpost in Dundee, according to the Architects’ Journal. According to the V&A, “Scottish design – past and present – is a major research theme for the V&A in the lead-up to the opening of V&A Museum of Design Dundee in Summer 2018. 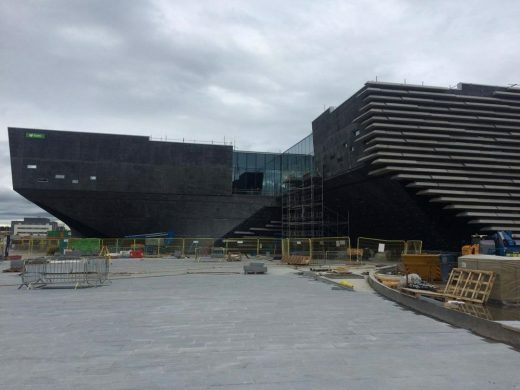 £4m in private donations have been recieved for the V&A museum in Dundee, which will go towards the project’s fundraising target of £45m. The design is by the celebrated Japanese architects Kengo Kuma & Associates. Donations have been received from individuals, trusts and foundations. Among those who have donated are W S Philips Charitable Trust, Leng Charitable Trust, Misses Barrie Charitable Trust, Binks Trust, and Dunard Fund. Outline plans for the new site alongside the latest visuals and vision for the project will be on display. Visitors will be encouraged to share their views with staff across the three days. 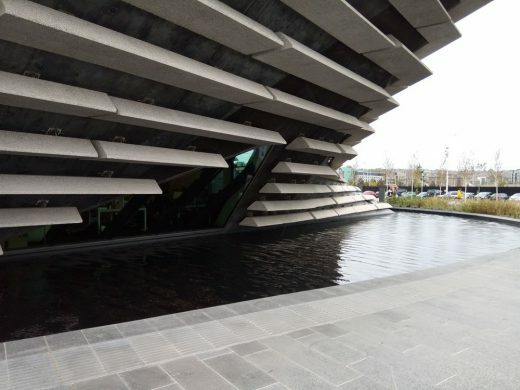 Architect Kengo Kuma’s revised plans show V&A at Dundee moving shorewards – closer to the RSS Discovery and other city attractions and into the heart of Dundee’s redeveloped central waterfront. The plans also detail the way in which the ‘iconic building’, created from two separate structures arching up to meet each other will be built within two pools of water, reinforcing the connection between the building and the River Tay. This is the first time the amended plans will be on show to the public. The revised planning application will be lodged with Dundee City Council later this year following the 12 week public consultation period. 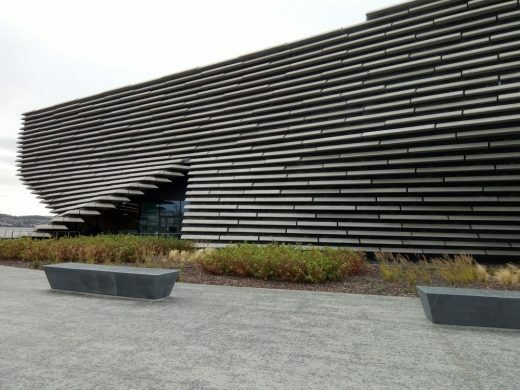 The V&A at Dundee is set to receive £3 million of Scottish Government funding in 2013-14, the Cabinet Secretary for Culture and External Affairs has announced. Fiona Hyslop confirmed the allocation during a visit to a major exhibition of photographs from the V&A collection, ‘Selling Dreams: One Hundred Years of Fashion Photography’, which is on display at The McManus: Dundee’s Art Gallery and Museum. The exhibition is the latest in the pre-opening programme for V&A at Dundee. The Culture Secretary was updated on progress to deliver the project during the visit, her first to Dundee since the City Council granted planning permission. “This display offers a tantalising glimpse of the fantastic quality of exhibition that we can expect to see at V&A at Dundee when it opens. 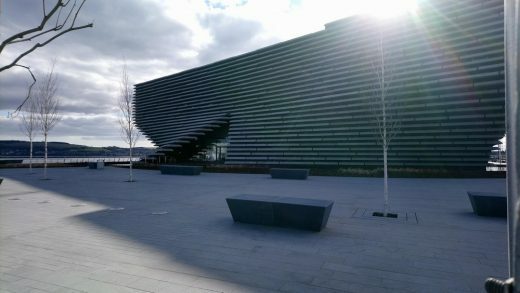 Content of this calibre shows the potential for this visionary project to strengthen the global reputation of Scotland – and Dundee in particular – as a centre of excellence for the creative industries. 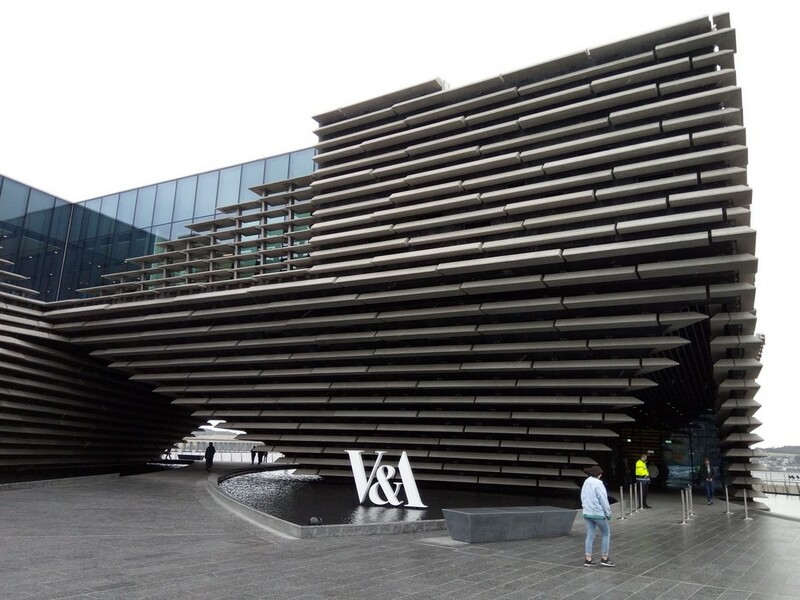 “V&A at Dundee is an international cultural project that will attract visitors from all over the world. It is also at the heart of this city’s waterfront regeneration, the benefits of which are already beginning to be appreciated not only in Dundee but across Scotland. The Scottish Government has allocated a total of £3 million to V&A at Dundee project in the 2013-14 draft budget comprising £2.5 million capital and £0.5 revenue funding. This is part of the £18.261 million total Scottish Government funding already confirmed following the 2011 Spending Review. This includes £15 million capital towards the project’s £45 million construction cost and £1.75 million revenue funding from 2012-15. 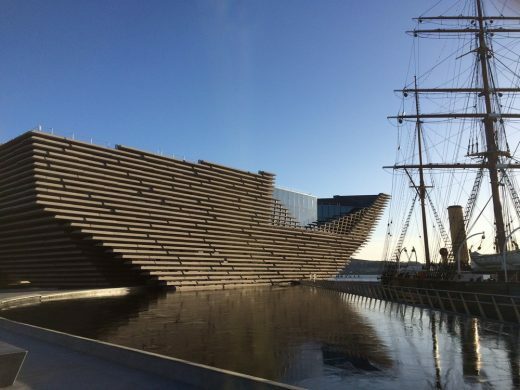 The V&A in Dundee has already received £1.511 million interim support from the Scottish Government since 2010. V&A at Dundee is being delivered by Design Dundee Ltd, a ground-breaking partnership between the Victoria and Albert Museum – the world’s greatest museum of art and design – and Dundee City Council, the Universities of Dundee and Abertay Dundee, and Scottish Enterprise. The building is being designed by a team led by architects Kengo Kuma & Associates. The Heritage Lottery Fund (HLF) awarded the project a first round pass* of up to £9.2m, including £200,000 development funding, in May 2102. 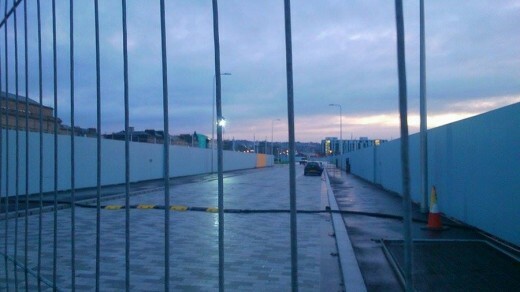 The Scottish Government has committed £15m in capital towards the project’s £45 million budget. The V&A is the world’s leading museum of art and design with collections unrivalled in their scope and diversity. It was established to make works of art available to all and to inspire British designers and manufacturers. Today, the V&A’s collections, which span over 2000 years of human creativity in virtually every medium and from many parts of the world, continue to intrigue, inspire and inform. The V&A has the oldest museum collection of photographs and the UK’s National Collection of the Art of Photography. The McManus is operated by Leisure & Culture Dundee, working in partnership with Dundee City Council. 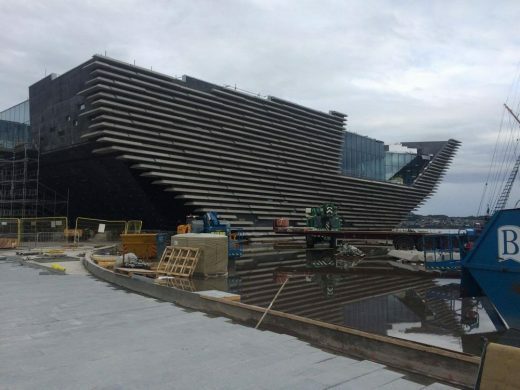 The £45 million V&A Museum project has been officially recommended for approval by Dundee City Council. The Victoria and Albert museum, designed by Japanese architect Kengo Kuma, will be the centrepiece of the £1 billion waterfront regeneration. 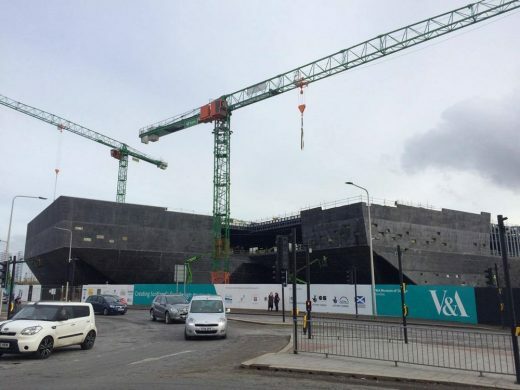 The council is the applicant for the V&A at Dundee project on which work is hoped to start next spring, with a scheduled completion date of 2014 and opening the following year. 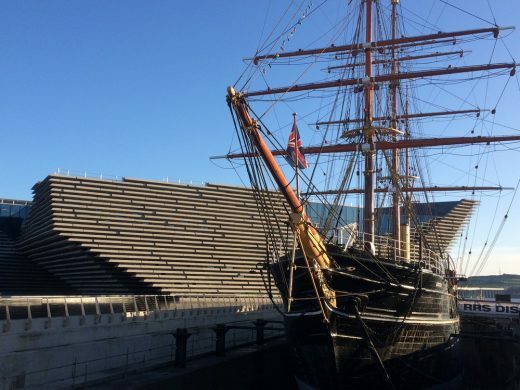 In a report to Monday’s meeting of the development management committee, city development director Mike Galloway said Victoria and Albert at Dundee will be an important centre for Scotland. He said there are no reasons to justify refusal of planning permission, recommending the project be approved subject to conditions on the infilling of Craig Harbour, landscaping, construction timings and drainage. 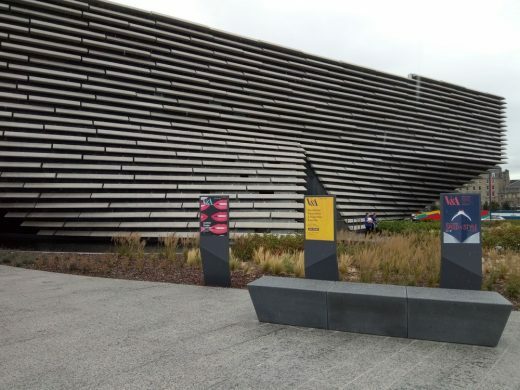 He said: “A feasibility study commissioned by Dundee University, Scottish Enterprise and the Victoria and Albert estimates the potential impact is for 500,000 visits annually. 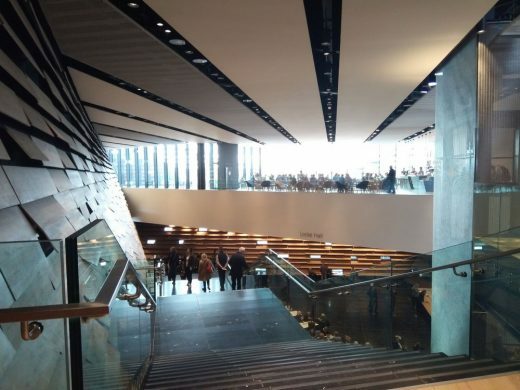 This includes the use of the bar, restaurant and conference space as well as the galleries. 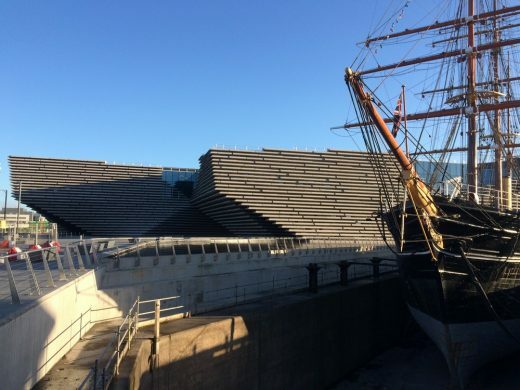 Another £1.75 million of Government funding has been committed to the V&A at Dundee over the next three years, Culture Secretary Fiona Hyslop has announced. 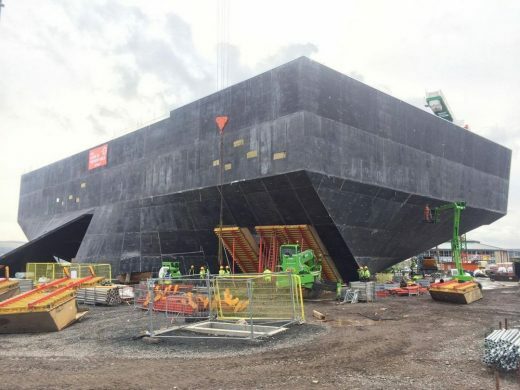 It brings the total Scottish Government support for the project to more than £18 million, including the £15 million capital investment already confirmed. 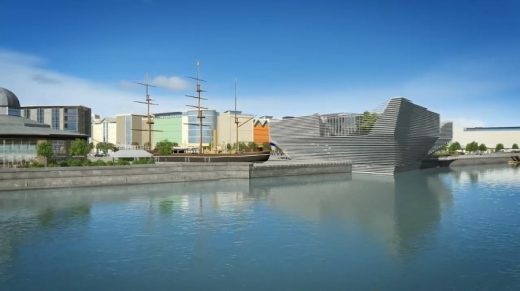 The new revenue funding was announced by Fiona Hyslop today on a visit to Dundee’s waterfront where the new museum will be built. Preparatory work at the site began on Monday. 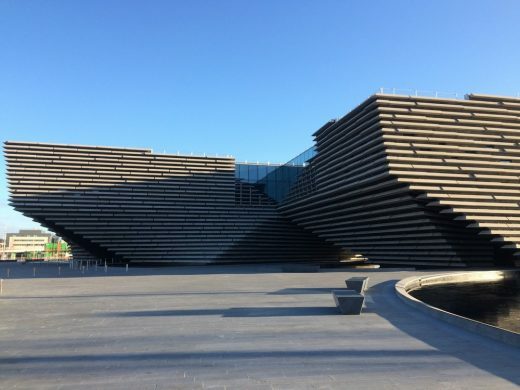 The Culture Secretary said: “The V&A at Dundee is an international cultural project which has the potential to bring great benefits to the city and the whole of Scotland. 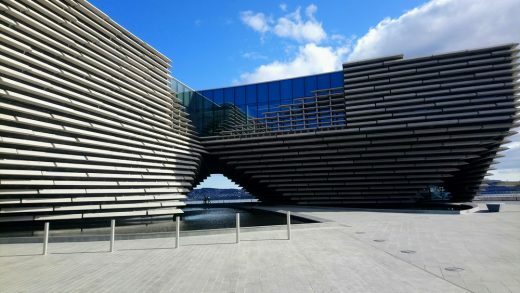 It will attract visitors from all over the world and presents an opportunity to strengthen Dundee’s reputation as a centre for the creative industries. “In the Year of Creative Scotland 2012, I am delighted to confirm the Scottish Government is making a further £1.75 million available to the V&A at Dundee. These additional funds will be used to support key activities associated with the project including programming exhibitions, developing education programmes, working with designers and creative practitioners, and fundraising. 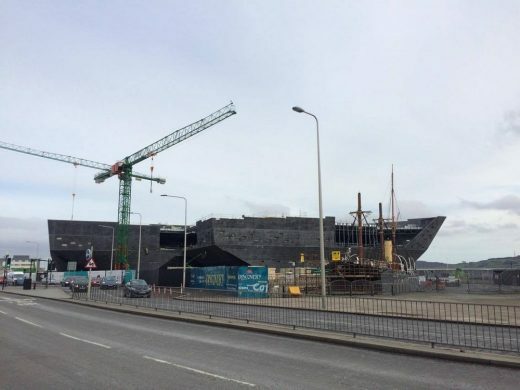 “Our significant financial contribution will enable the V&A at Dundee – with its iconic waterfront building – to work towards opening in 2015, placing the project at the centre of Dundee’s regeneration. 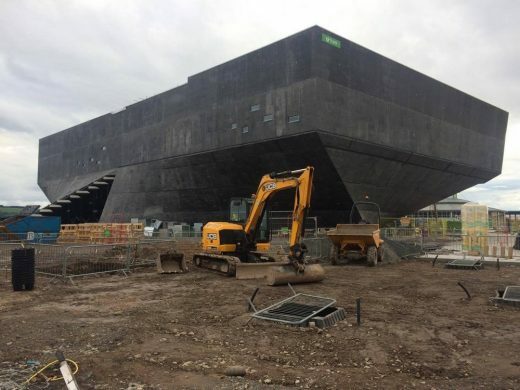 Philip Long, Director of the V&A at Dundee, said: “We intend that V&A at Dundee will be an international centre of design for the widest public, housed in a world-class building at the heart of Dundee’s developing waterfront. 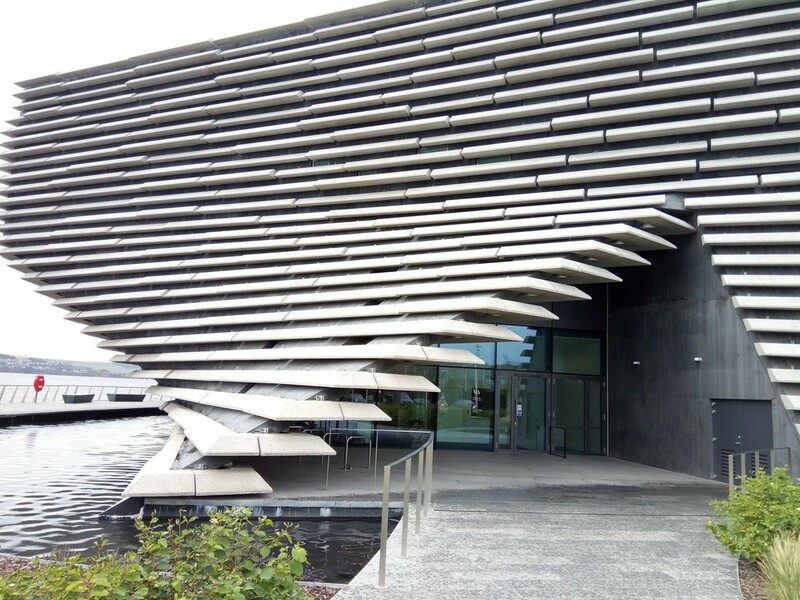 The Culture Secretary’s announcement today assures that work can continue on the development of V&A at Dundee, from planning through to implementation and opening. The winners of the V&A competition are Kengo Kuma & Associates, a middle-size architectural practice founded in 1990 in Japan with their European offices based in Paris. Detailed design work is due to take place in 2011 with work on the V&A museum expected to start in autumn 2012. The V&A competition jury panel made their unanimous decision after an extensive process of assessing the designs, interviewing the architects and their teams, and viewing some of their previous work. The public view was also factored in with thousands of questionnaires and comments drawn from the 13,000-plus people who visited the V&A exhibition and those who viewed it online. “We have subjected each of the six proposals to exhaustive scrutiny, including having external assessors do a detailed examination of projected costs, and we did not have to exclude any of the submissions on grounds of affordability,” said Mike Galloway, Director of City Development for Dundee City Council and a member of the V&A competition panel. 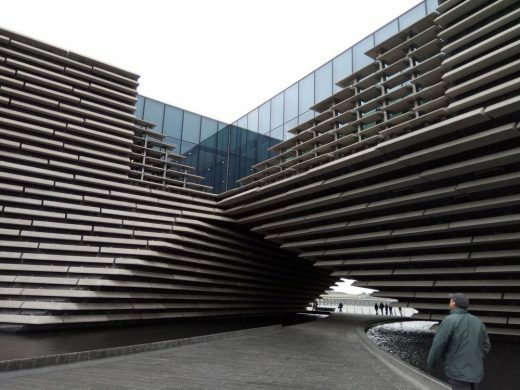 Kengo Kuma’s team for the V&A at Dundee project includes the Scottish firms cre8architecture, Optimised Environments Ltd, and CBA, and the engineering firm Arup, which has offices across Scotland, including in Dundee. Kengo Kuma & Associates are involved in a wide range of design scales from furniture and product design to architecture and urban scale planning. Kengo Kuma is a Professor at the Graduate School of Architecture at the University of Tokyo and has won many awards including the prestigious Architectural Institute of Japan Award in 1997. His stated goal is to recover the design of traditional buildings and to reinterpret it for the 21st century utilising the inspiration of light and nature to help achieve this. 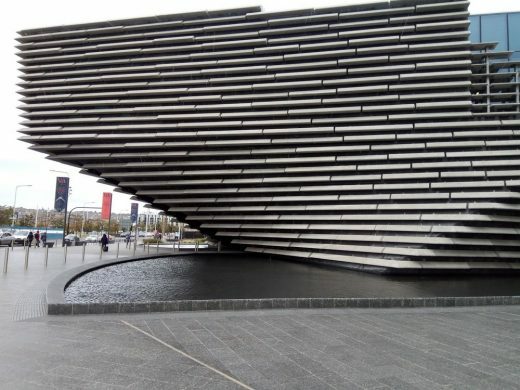 Six stunning designs for the V&A at Dundee project have been unveiled at an exhibition in the city. The `V&A at Dundee – Making it Happen exhibition features work from the six shortlisted teams of world-class architects and designers who have put forward outstanding ideas for a landmark building that will house the V&A at Dundee and dominate Dundees waterfront. Sir Mark Jones, Director of the Victoria & Albert Museum, expressed his excitement at the quality of the architects response to the V&A brief by saying, Fantastic designs from brilliant architects! Its great to see that the competition for the V&A at Dundee has attracted such a strong international response. 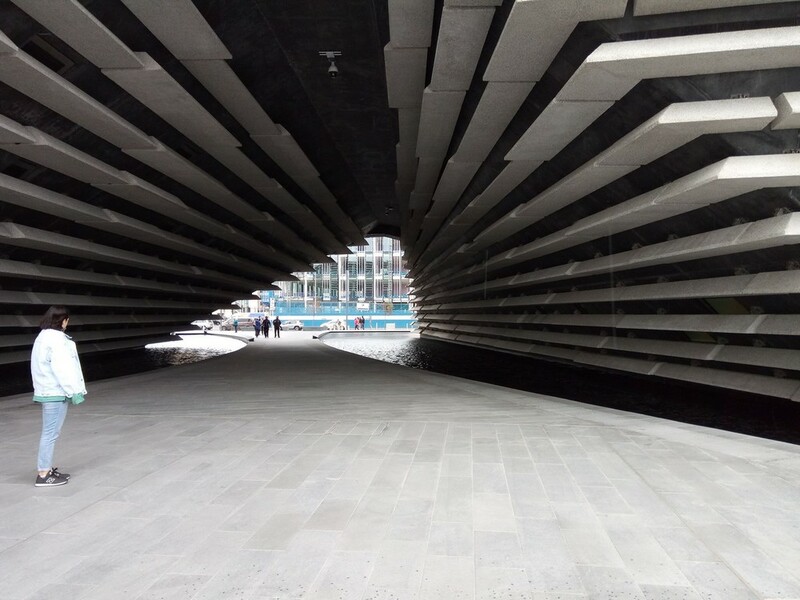 We have a range of designs that are very dynamic and exciting, said Mike Galloway, Director of City Development for Dundee City Council, one of the partners in the V&A at Dundee project. The V&A competition shortlist features some of the brightest names in world architecture and design and I think they have shown with these designs why they are so highly rated. Our brief called for outstanding design to fit an outstanding location and I think the teams have lived up to that. These are fantastic designs and we hope as many people as possible visit the exhibition and the website and express their opinions on the models and designs, said Lesley Knox, Chair of Design Dundee Ltd, the company which has been established to drive the V&A at Dundee project forward, and Chair of the jury panel who will select the winning design team. I am sure people will see things they really love and some will also have opinions that go the other way. But the key thing is that they make their opinions known, as it will feed into the jury panels decision. The V&A exhibition is in the University of Abertay Dundee library in Bell Street, Dundee, from September 29th to November 4th. All are welcome to visit the exhibition and admission is free. 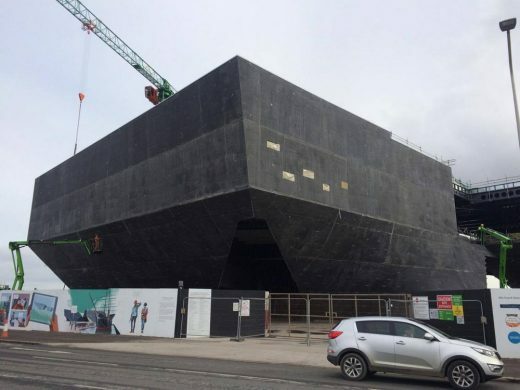 The V&A at Dundee is being delivered by Design Dundee Ltd, a ground-breaking partnership between the Victoria and Albert Museum – the worlds greatest museum of art and design – and the University of Dundee, the University of Abertay Dundee, Dundee City Council and Scottish Enterprise. The V&A at Dundee is looking to create a landmark building, which will be sited at Craig Harbour right on the banks of the River Tay. The site is being made available through the Dundee Central Waterfront Partnership, the joint venture between Dundee City Council and Scottish Enterprise which is revitalising the prime area of land linking the city centre with the River Tay. Designers were invited to make proposals for a building that reflects the V&A at Dundee project partnerships desire to stimulate commerce as well as local and visitor interest. – be a rich and inspiring resource for design and creativity. – attract visitors from Dundee, Scotland and further afield to world-class travelling and permanent exhibitions. – improve the attractiveness of Dundee and its region to business. 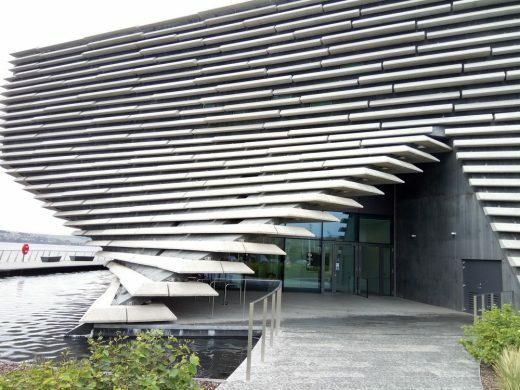 A shortlist of architect and design teams competing for the V&A at Dundee project is announced today (27 May 27) and includes bidders from around the world. Over 120 architect and design teams from around the world made submissions to the design competition for the V&A at Dundee project, which aims to develop a new centre of 21st century design for Scotland at the heart of Dundee’s waterfront. The design team led by Delugan Meissl includes Wenzel+Wenzel (Germany), Werner Sobek (Germany) and Büro Kiefer (Germany). Kengo Kuma’s team for the V&A project includes cre8architecture (Scotland), ARUP (UK), Optimised Environments Ltd (Scotland) and CBA (Scotland). The REX design team for the V&A project also includes Magnusson Klemencic Associates (USA), DCI (USA), Buro Happold (UK), Bureau Bas Smets (Belgium), Lord Cultural Resources (USA) and Urban Splash Group (UK). The Snøhetta multidisciplinary team for the V&A project includes Gareth Hoskins Architects (UK), Lord Cultural Resources (Canada), Davis Langdon (Scotland), Adams Kara Taylor (UK) and the BDSP Partnership (UK). The design team led by Steven Holl includes jmarchitects (Scotland), Guy Nordenson & Associates (USA), ARUP (Scotland), Thomas & Adamson (Scotland), Michael van Valkenburgh Associates (USA) and Transsolar Energietechnik (Germany). 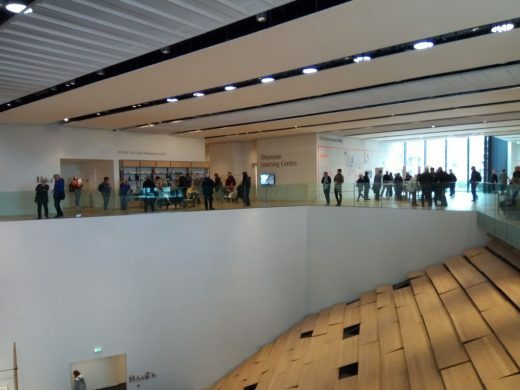 The V&A design team led by Sutherland Hussey includes 3DReid Architects (Scotland), AECOM (Scotland), Morham & Brotchie (Scotland), Gross Max (Scotland) and KSLD (Scotland).